Shares of Blue Apron (NYSE: APRN) surged 45% on Jan. 15 after the meal kit maker provided a brief preview of its upcoming fourth quarter report, due to come out on Jan. 31. It didn't provide any exact numbers, but reaffirmed its "confidence in achieving profitability on an adjusted EBITDA basis" in both the first quarter of 2019 and the full fiscal year "as it actively pursues the appropriate strategies to create value for its stakeholders." 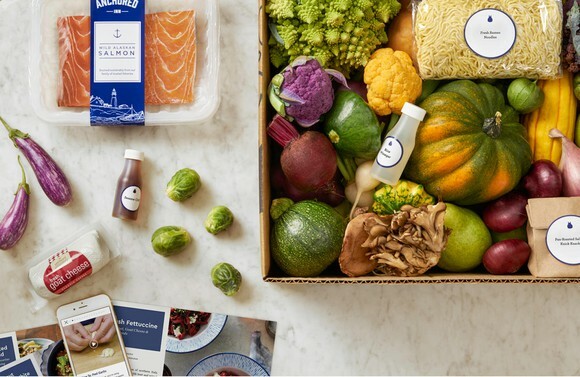 Blue Apron highlighted its "continued gains in operational efficiencies," especially at its increasingly automated Linden fulfillment center in New Jersey. It will provide updates on its partnerships with Walmart's (NYSE: WMT) Jet.com and Weight Watchers International (NASDAQ: WTW), the latter of which experienced "higher-than-expected demand" after its launch -- and "a new offering specifically designed for online and brick-and-mortar retail." Blue Apron's updates sound encouraging, but it's really just reiterating its goals from the previous quarter and reviewing some recent partnerships. I think Blue Apron is still in trouble, and its latest rally won't lead to long-term gains. Blue Apron dropped from its IPO price of $10 to just over $1 for three simple reasons. First, it simply sells overpriced boxes of curated groceries with recipes -- a business model which can easily be replicated by smaller or larger competitors. Second, Blue Apron lacks the scale to fend off larger competitors like Amazon's Whole Foods or Kroger, since those grocers can simply pack their own products into similar boxes and sell them at lower prices. Lastly, Blue Apron's meal kits target customers who are too busy to shop for ingredients to cook, but those same customers could simply buy prepared meals at Costco (NASDAQ: COST) or a myriad of other delivery and takeout options from restaurants. That's why Blue Apron's decision to sell meal kits at Costco, which was discontinued last November, didn't make much sense. Its newer delivery partnerships with Jet.com and Grubhub -- which both focus on the New York City area -- arguably don't stand a chance against other dining options for busy urban customers. Year-over-year growth. Source: Blue Apron quarterly results. During the third quarter its average customer placed just 4.1 orders, compared to 4.4 orders in the second quarter and 4.3 orders in the prior year quarter. Its average order value fell 2% annually, and its revenue per customer dropped 5%. Instead of trying to grow its customer base and revenues again, Blue Apron focused on cutting costs and narrowing its losses with layoffs, automation efforts, and a reduction of its marketing expenses. Those efforts helped it narrow its adjusted EBITDA loss from $48 million to $18.8 million between the third quarters of 2017 and 2018. 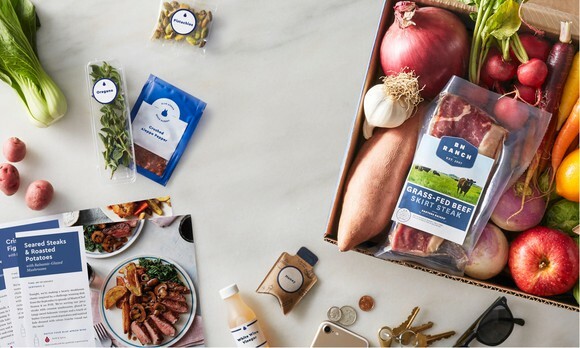 That was a responsible move, but Blue Apron should have considered boosting its marketing spend or acquiring smaller rivals to grow its customer base again. Instead, Blue Apron signed questionable partnerships with Jet.com, Grubhub, Airbnb, and even Chrissy Teigen to boost its brand awareness. Its latest deal with Weight Watchers (now known as WW) fits that pattern. Some WW customers might be interested in Blue Apron's WW Freestyle meal kits, but WW also sells its own "quick-prep" meal kits, which contain prepared ingredients that can be combined and heated within ten minutes. It's the same dilemma Blue Apron faced with Costco -- most busy customers probably won't favor meal kits over pre-cooked meals. But doesn't adjusted EBITDA profitability matter? Achieving adjusted EBITDA profitability in 2019 would be an achievement for Blue Apron, but that doesn't mean that the company will stop burning cash. Blue Apron's GAAP net loss of $33.9 million was still significantly wider than its adjusted EBITDA loss of $18.8 million last quarter, and it's highly unlikely that it will achieve GAAP profitability anytime soon. Blue Apron's rally would be justified if it declared that its customer and revenue declines were finally bottoming out, or that it was boosting its marketing spend in a final "do-or-die" effort. 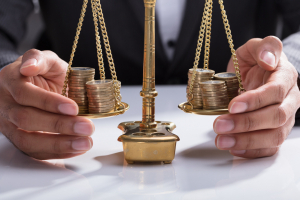 Yet it merely reaffirmed its forecast for adjusted EBITDA profitability in 2019 while teasing some updates about lower operating costs and its latest partnerships. Those moves probably won't widen its moat or prevent competitors from rendering its business obsolete. 10 stocks we like better than Blue Apron Holdings, Inc.
David and Tom just revealed what they believe are the 10 best stocks for investors to buy right now... and Blue Apron Holdings, Inc. wasn't one of them! That's right -- they think these 10 stocks are even better buys. John Mackey, CEO of Whole Foods Market, an Amazon subsidiary, is a member of The Motley Fool's board of directors. Leo Sun owns shares of Amazon and Grubhub. The Motley Fool owns shares of and recommends Amazon. The Motley Fool recommends Costco Wholesale. The Motley Fool has a disclosure policy.